During 2011 we attended dog shows with two of our cardigans. The berneses had the year off, but hopefully we will take the berneses to show rings again this year. Dnts First Lady took, for the second year on a roll, the first place in the Young Cardigan of the Year - competition. 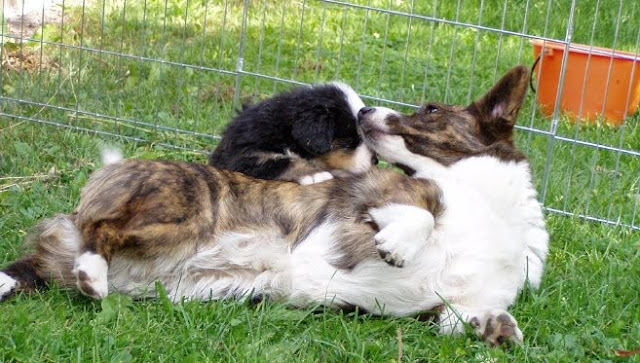 We had two cardigan litters during the year and all the puppies found their own loving and caring families! A wonderfull bernese mountain dog male Dnts Dream Fellow passed the BH (behaviour test for working dogs). Our congratulations to his active owner Niina!